Today is International Day of Persons with Disabilities, and this year’s theme is “Empowering persons with disabilities and ensuring inclusiveness and equality”. Empowering, inclusiveness and equality is something we continually strive for. 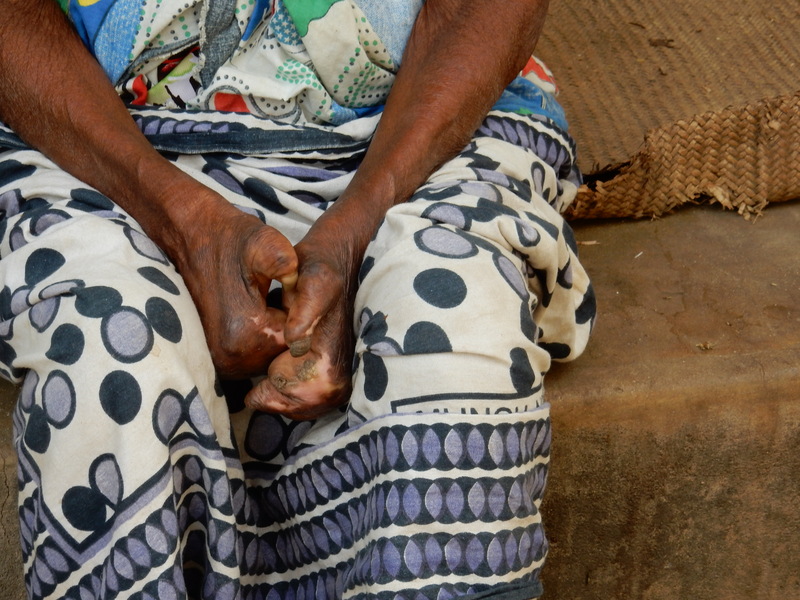 The stigma of leprosy has long been attributed to the physical deformities associated with leprosy. As a place where people living with leprosy were sent to be quarantined, Kindwitwi was once a place of isolation, indescribable poverty and despair; as a result it was shunned by many in the local area. If people seek medical help in the early stages, there is a strong chance they will not develop the horrific disfigurements and disabilities associated with leprosy in days gone by. While the stigma of leprosy still exists, through our outreach work, we have been working hard to educate people that leprosy is curable and is now a disease that shouldn’t be feared. We actively encourage people living with leprosy to be a part of the community and our work in Kindwitwi is ensuring people living with leprosy are no longer stigmatised and isolated, but are included and properly cared for. Salum, our specialist footwear maker is skilled at making bespoke shoes for people with leprosy-related disabilities. 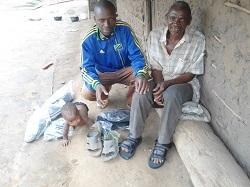 Every three months or so, he checks his special shoes, making repairs and adjusting them to the person’s changing needs. Now many people living with leprosy are able to support themselves by working in the shambas (fields). We provide care and support for several older people, such as Salima (pictured above), who has severe leprosy related disabilities, but has no family members to support her. Your donations ensure she has nutritious meals and proper medical care when she needs it. Kindwitwi’s Polack Dispensary primarily dispensed drugs used to treat leprosy; now it treats many other ailments. For instance, the Mother and Baby Clinic assisted one family whose son was born with cerebral palsy, giving her practical advice and providing her with a special chair. The Rufiji Leprosy Trust, again with the help of your donations, is supporting the baby’s older sister as she studies on a secretarial course. The additional a qualifications will help her find a good job and hence provide support for him in years to come.